Tailer, a blue fish, once had the tail with the brightest glisten. But when his mate, Finna, succumbs to illness and his newborn son, Gillon, disappears, his tail loses its glisten. As years pass, Tailer never loses faith. He continues to search for his son, hoping to find him. 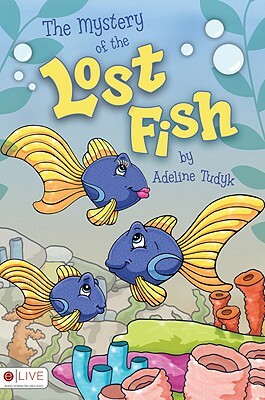 In "The Mystery of the Lost Fish," Adeline Tudyk vividly portrays life in the sea and a fish who won't give up on his family. This is an eLIVE book, meaning each printed copy contains a special code redeemable for the free download of the audio version of the book.